Approx. 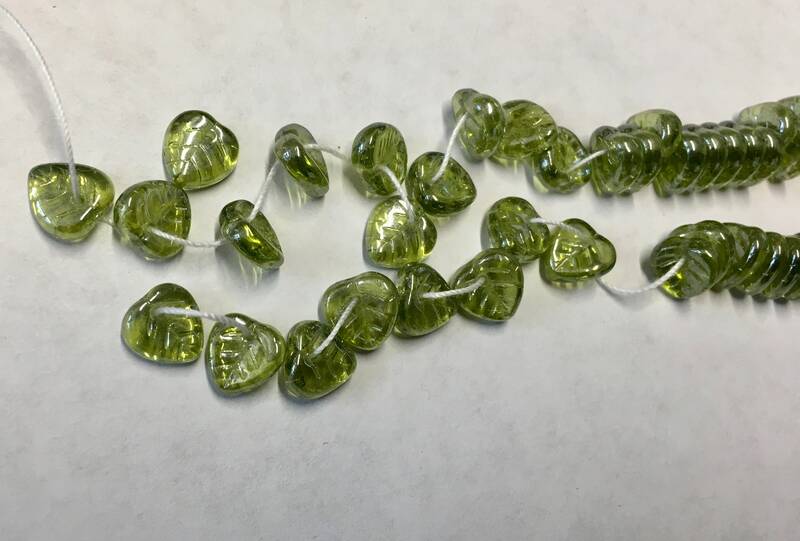 50 transparent luster olivine Czech pressed glass heart shaped leaf beads measuring 10mm x 10mm. Hole is drilled through the top of the bead. 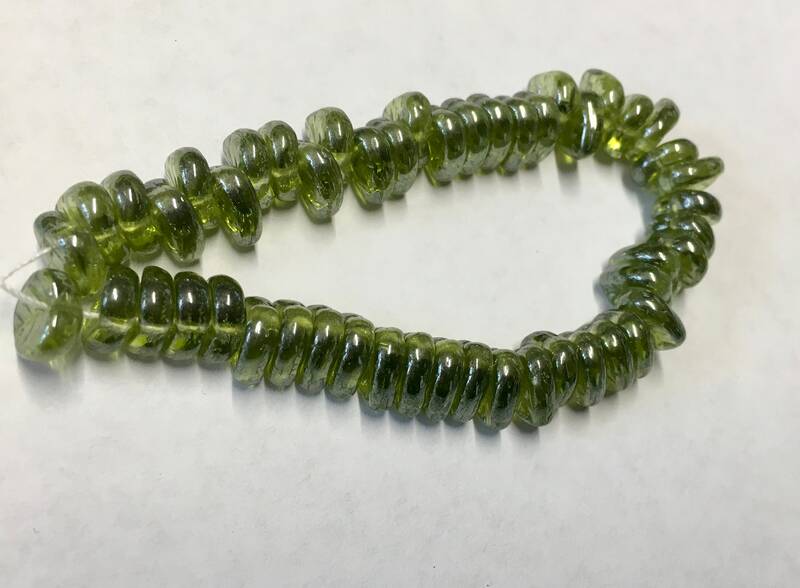 Very nice little leaf beads and great for all sorts of jewelry making applications as well as adornments for fiber art projects, sewing & even scrapbooking! Use for kumihimo, too!